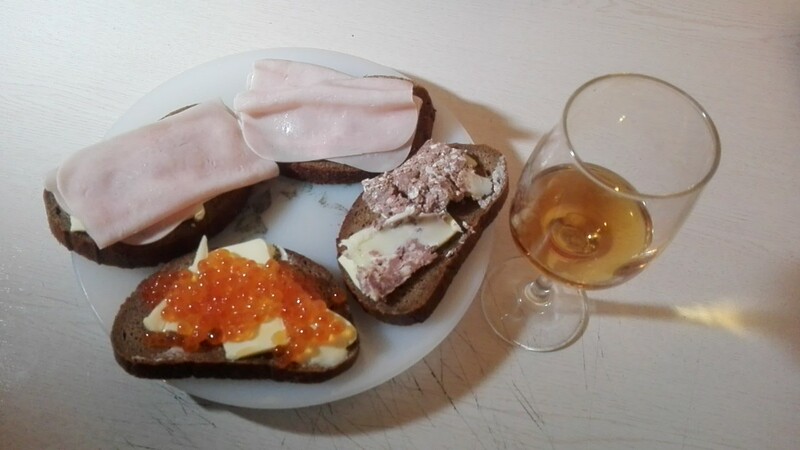 I think that might be fish roe...and is that wine you got there? Orange thingies are caviar - so, essentially, salt-cured fish roe, as F4wk35 noted. Butter distribution was because of the quick and dirty nature of the celebration (New Year's Eve according to the Julian calendar...it's a Russian thing ). An awesome house for an awesome pair! Today they have restored my internet connection after 36+ hours of disservice. And they have been exceptionally fast in doing it -- but not until after I opened a ticket wih their tech support earlier today. And then, a few tens of minutes later, I was magically connected again. Funny how on my router the DSL led has been lit green all this time while the WWW led was lit red. Playing Final Fantasy VII (the very PlayStation version in 3 discs, no less!) on my smartphone thanks to a free PS1 emulator app that works like a charm. A couple of screenshots from my smartphone. I must remember to activate the 2D filtering. Seeing the pictures this big makes the pixelation most evident. Not a problem when playing on my device screen, though. DriveThruRPG approved my latest RPG adventure. No GM's Sky - Uncharted Worlds is a space exploration sand box adventure for the Uncharted Worlds RPG. It's a freebie (well, a PWYW, which really just works out like a tip jar.) Check it out! Congratulations! Finishing a project is hard. Somebody get this man a blue "Indie Developer" forum handle!